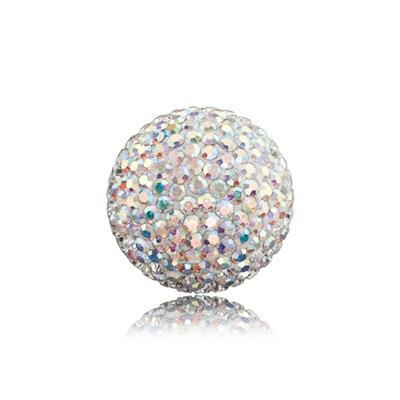 The Engelsrufer Crystal Sound Balls add sparkle to your Angel Whisperer with high quality designs in Swarovski crystal. This white sound ball evokes purity, innocence and immortality. Wear your white sound ball when you feel you've lost sight of the true you. The sound ball of soul awareness, it encourages you to be true to yourself, to be the free spirit you truly are, let your guardian angel shower your surroundings in joy, light and truth.